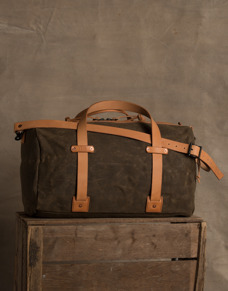 The bag you will eventually own! 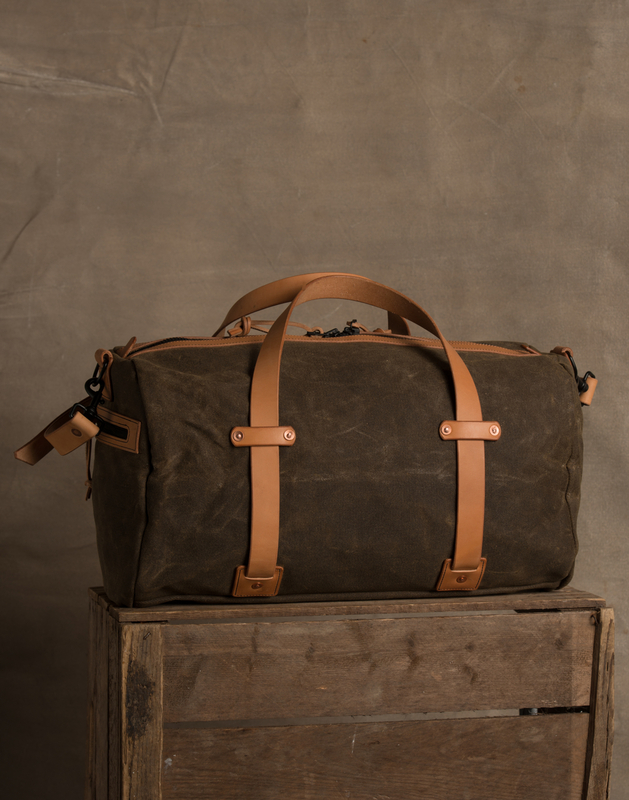 Simplicity meets exclusivity in the rugged Kvåle duffel bag. 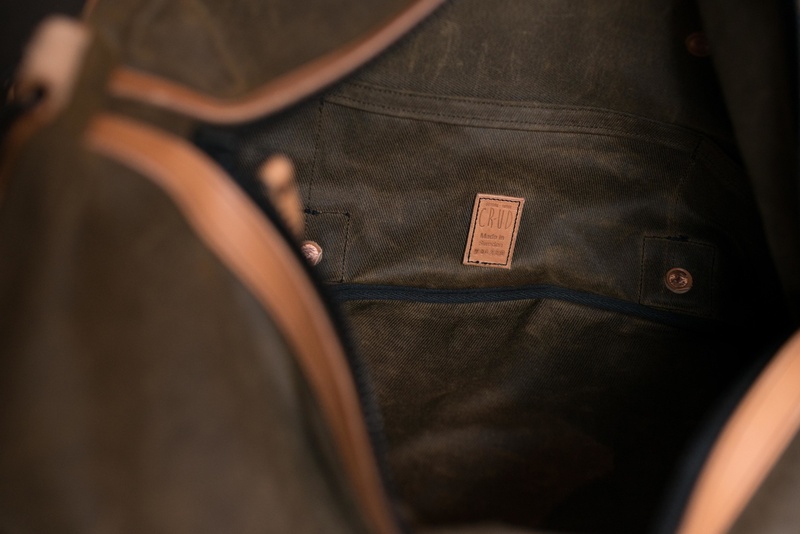 The Kvåle duffel is made out of 18oz heavy waxed cotton canvas and equipped with 3,5mm thick natural veg tanned leather details from Tärnsjö Tannery. The large double slide zipper is as sturdy as they come ensuring a long time of trouble free use. 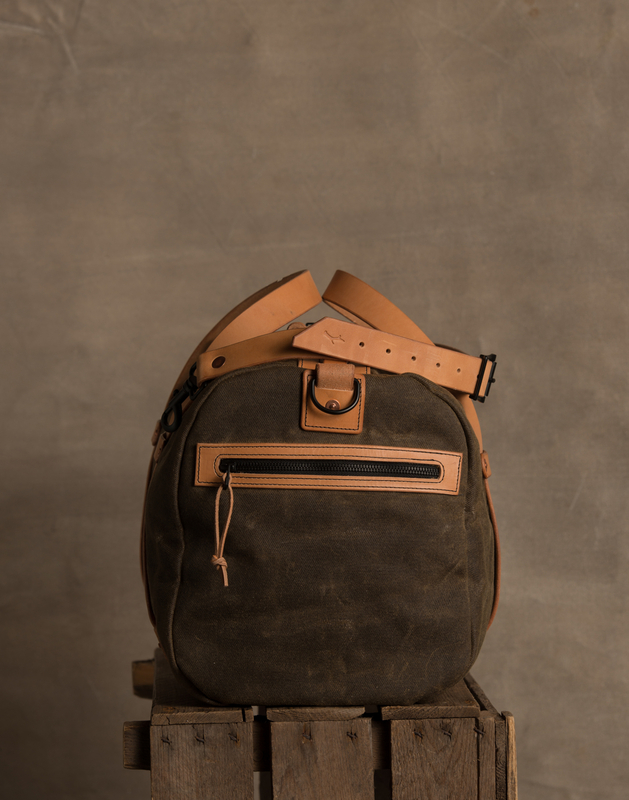 All leather details are mounted with hand set copper rivets making sure that all crucial parts stay in place. The bag has one zipper pocket on the outside and 3 smaller compartments on the inside. 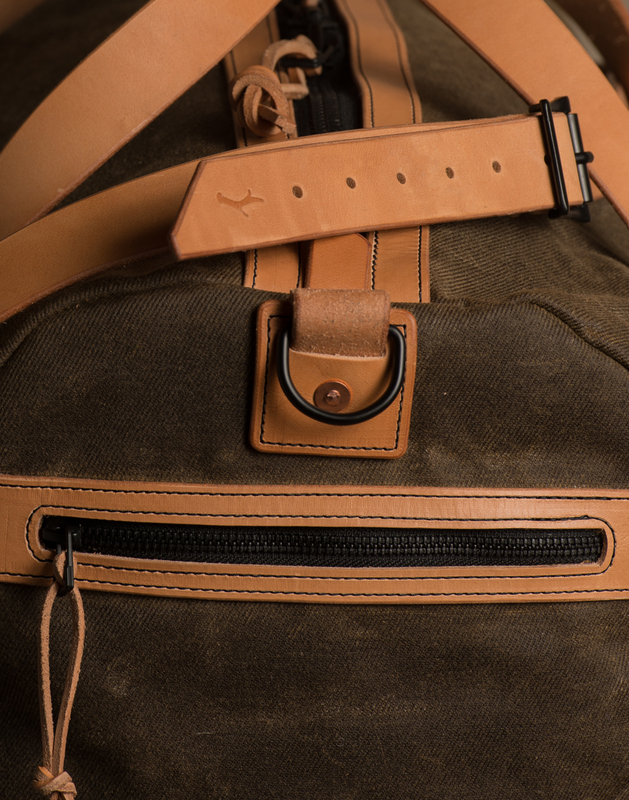 The Kvåle duffel comes with an extendable leather shoulder strap. 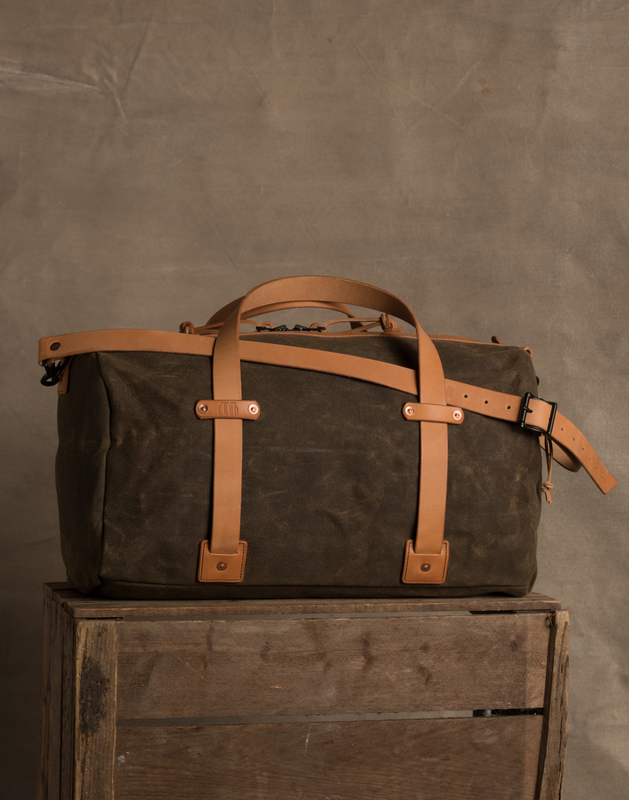 The natural veg tanned leather used in this bag will slowly darken with time and develop character specific to its owner. Our canvas has a heavy waxed surface that may transfer to clothing within the first 2-3 weeks of use until it gets worn in. 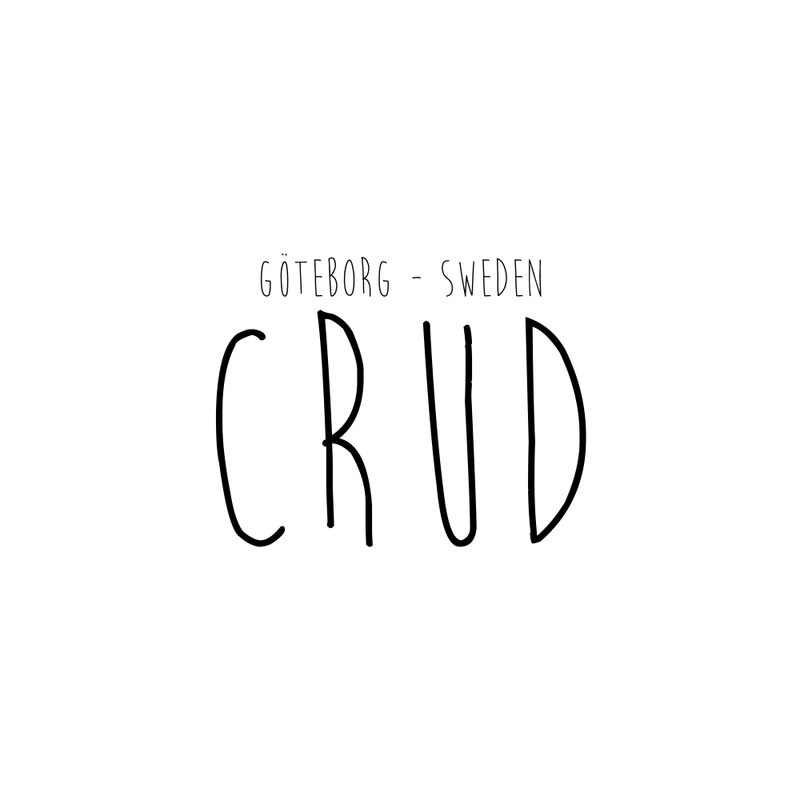 During this time we recommend wearing dark clothing.